Ever experience the disappointment of burning a dish right as the family was sitting down to dinner? 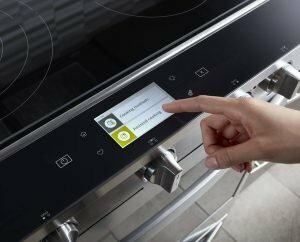 New Scan-to-Cook technology in the new Whirlpool® Front-Control Range, part of the new Fingerprint Resistant Smart Kitchen Suite, will ensure the right settings for every frozen food meal. Just scan the UPC barcode on a food package in the Whirlpool® mobile app*and the Scan-to-Cook technology –an anticipated industry-first –will send the right directions, temperature and cooking time settings straight to the appliance. And to get the pizza a little crispier next time, customize the Scan-to-Cook settings to remember specific preferences. 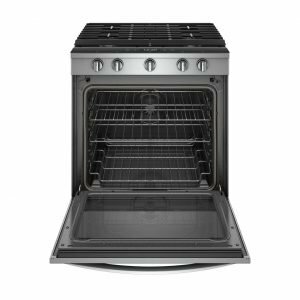 The range can also guide families through a complicated three-step recipe. 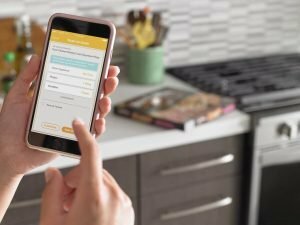 If cooking a dish that needs to bake, broil and then keep warm, rather than manually switching the oven, consumers can use the Whirlpool® mobile app to send the recipe directly to the appliance which will follow the cooking directions automatically. The mobile app also allows families to start, pause, stop and adjust the temperature and cook time for the oven from anywhere in the home. Requires WiFi and account creation. App features and functionality subject to change. Subject to Terms of Service available at: www.whirlpool.com/connect. Data rates may apply. Kitchen design is more important than ever before for residential builders and designers. According to the 2016 U.S. Houzz Kitchen Trends Study, 45 percent of respondents said they spend three to four hours a day in their kitchen cooking, socializing and entertaining. Additionally, smart home technology is here to stay. Two-thirds of homeowners and 86 percent of parents surveyed in the Whirlpool Smart Home Survey say it is likely their next appliance purchase will be a smart appliance. Whirlpool Corporation products help builders succeed by making an impact on consumers’ lives through purposeful innovation. 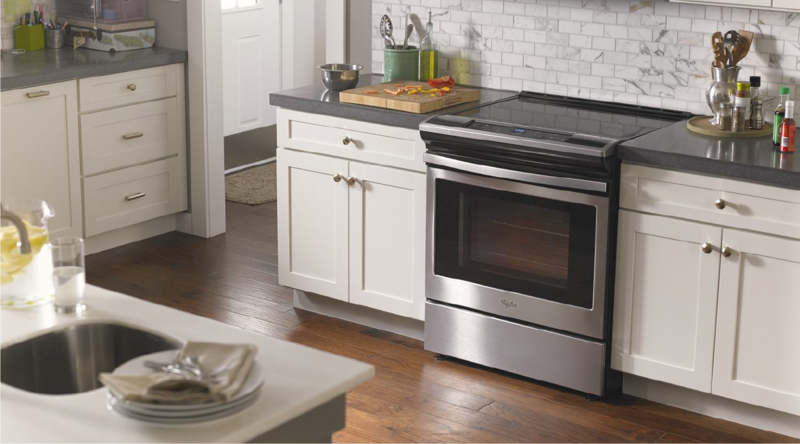 By offering the Whirlpool Front Control Smart Range and the rest of the Smart Kitchen Suite, builders can provide consumers with the connected appliance benefits they want most: those that make everyday tasks more seamless with their busy lifestyles. Care can be a balancing act as busy families juggle chores in all parts of the house, so consumers want connected home features that simplify their lives. Ease of use is a crucial component of the connected home. In the Whirlpool Smart Home Survey conducted earlier this year, 91 percent of respondents indicated that simple interface and controls are crucial. The Whirlpool® Front Control Range and the rest of the Smart Kitchen Suite offer families control of kitchen appliances from anywhere in the home via the Whirlpool® mobile app, making everyday tasks more efficient. 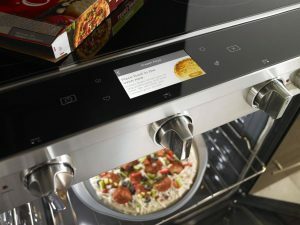 Users can adjust cleaning cycles on the Smart Dishwasher, pre-heat the oven, adjust cooking time, or even re-order supplies – all from a mobile device. Requires WiFi and account creation. App features and functionality subject to change. Subject to Terms of Service available at: www.whirlpool.com/connect. Data rates may apply.